There is nothing more stunning than candle light! This fantastic set of votive candle holders are perfect for table decorations at your wedding. Personalise this set of votive candle holders with your message of up to 3 lines of up to 20 characters. These will make the perfect way to mark the event, date and couples names on this momentous occasion. Each votive is personalised with the same message. 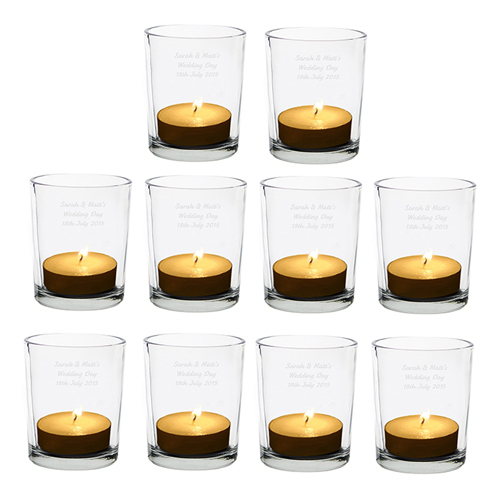 Personalise this set of votive candle holders with your message of up to 3 lines of up to 20 characters.